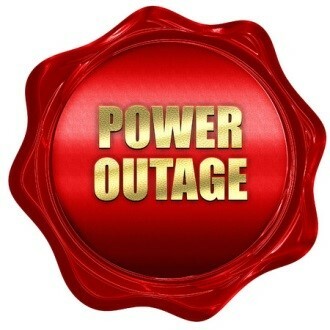 Does Your IT Services Company in Houston Provide Power Outage Protection? The use of cloud services continues to rise for businesses of all sizes and it offers excellent protection against a power outage. As you may know, important work files are uploaded to the cloud servers, and they can be restored to your computer at any moment. With the use of cloud technology, you can have peace of mind knowing that your valuable work information is protected from an emergency situation. Our IT services company in Houston continually provides updates to the cloud servers to ensure the best service for businesses in the area. An uninterruptible power supply is a device that uses a battery to provide electricity during a blackout. The UPS will notify you of the power loss and you will have plenty of time to save everything without subjecting your computer to a forced shutdown. As you know, avoiding a forced shutdown is critical in maintaining a stable network. With the use of a UPS, you will not have to worry about losing important work documents due to a blackout. If you do not feel comfortable using cloud services, our IT team can schedule regular data backups, which is another excellent option to protect against any random power outages. Although the initial backup may take time, the subsequent backups will be much quicker as they only add new files to the existing data. The backups can easily be stored on a separate hard drive, which adds another layer of protection. Keep in mind, it is important to perform daily backups, or you risk the work data becoming outdated. As you can see, having a proper backup plan is essential in today’s technological world. In the case of an emergency, your business will be well protected and will not suffer any data loss. At HoustonTech, we have been providing excellent IT services in the Houston area since 2009. With the latest technology, HoustonTech specializes in data protection through the use of regular data backups and cloud storage. Don’t risk losing valuable information to an unpredictable power surge. Contact us today and let our professionals help your company develop a proper data backup plan. ← Ransomware is Out There— Managed Services Providers in Houston Advise Patching!